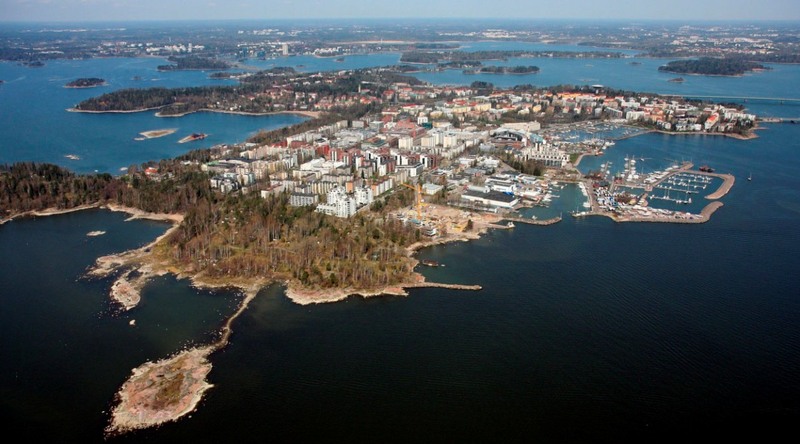 2017 Melges 24 World Championship in Helsinki, Finland – 6 Months To Go! It’s been a while when the International Melges 24 fleet was racing in this part of the world. The first time for the international Melges 24 fleet of fifty six teams to race this north was in 2003 when Jacob’s Creek Melges 24 Europeans were organised by the same hosting club HSK. Sailors might also remember the most recent title championship in this area organized by the Finnish-Estonian Melges 24 Class Association in Tallinn, Estonia in 2010. IM24CA is happy to work again together with a bunch of people familiar from the past events’ organisations to ensure the success of the title event. The attractions for the sailors will be that the racing area is just outside Helsinki (the capital city of Finland)on open waters. Coming from the race area in to the race harbour both to west and east is unique archipelago. To test the waters of the Worlds the best training for the Melges 24 sailors would be the Melges 24 Finnish Open Nationals held one week before the Worlds on the same venue on July 22-23. The Notice of Race for this event will be published shortly. Organising team, International Jury and most of the Race Committee team are set and the discussions with the ferry companies are underway to have the best options for shipping the boats from Travemünde (GER) or Stockholm (SWE) to Helsinki. For more competitive racing before the Worlds Melges 24 teams are invited to take part from the Nordic and Swedish Melges 24 Championship in a very popular sailing venue Marstrand, Sweden in 16-18 of June which is the third event of the 2017 Melges 24 European Sailing Series. From there different options for the next events are available: either Hankø Race Week in Norway (June 29 – July 2) or Kiel Week in Germany (June 22-25). From Hankø is easy to drive to Stockholm and then take a ferry to Helsinki; from Kiel you can drive to Travemünde and take a ferry directly to Helsinki. More details about the both logistics options IM24CA will publish shortly. Competitors who place and pay for their entry before 2nd June 2017 can take advantage of the early bird entry rate of Euro 750. About Helsingfors Segelklubb (HSK): HSK is a Finnish sailing club founded in 1899. With 1.600 members and 600 registered boats, we are one of Finland’s largest and most successful sailing clubs. Club is located centrally on the west side of Helsinki in Lauttasaari, with an excellent services and traffic connections nearby. The harbour has expanded during the years and today 300 berths and about 100 winter lay-up sites are in use. The new club house was inaugurated in 2010. HSK has been very active to organize the international and local sailing regattas along the years and many famous Finnish sailors are coming from this club. In 2017 to the Sailing Team Finland from HSK have been nominated Tuuli Petäjä-Sirén – RS:X, Kaarle Tapper – Laser Standard, Joonas and Niklas Lindgren – 470 and Mikaela Wulff – 49er FX/470.